Every ride you take is measured via our power meters. Your personal statistics, such as distance, calories burned, and power output (watts) are recorded on your online profile so that you can track your progress towards your personal goals. 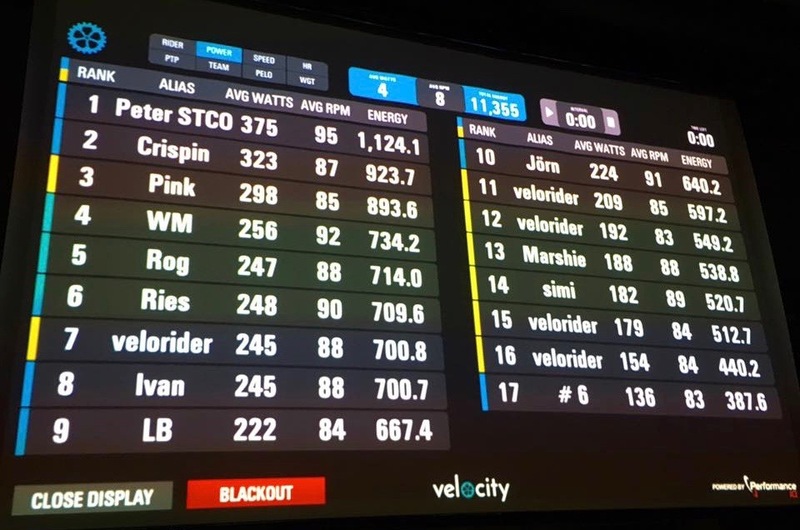 In our Veloburn classes, you will have the option to join the Veloboard using leaderboard technology. If you opt-out on your online profile, you can decline being on the leaderboard. If you do not opt-out, you can join the leaderboard shown in class with a name of your choice. There, you will compete with other riders for the top spot based on power output or speed, to ensure you put the ‘work’ into your workout.